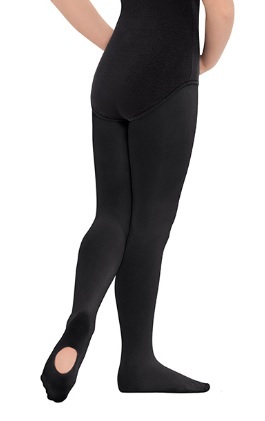 Seamless, microfiber, dance tights designed to resist running and piling. Enjoy endless hours of comfort through rehearsals and performances with our plush microfiber waistband - there's no hard elastic to pinch or squeeze you, so your silhouette will be smooth and your tights undetectable under leotards and costumes. The reinforced, flat sole opening of these convertible tights transition quick and seamlessly from a footed to footless style, perfect for changing in between classes. Additionally, EuroSkins® Non-Run Tights have long lasting, vivid color; so whether you are looking for pink ballet tights for pointe or tan dance tights for jazz, we have you (and your legs) covered!